Pinwheels Quilting brings a wealth of enthusiasm to their craft of sewing. 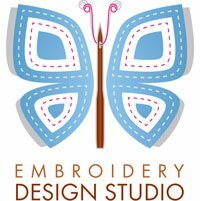 We are thrilled with the opportunity to meet fellow stitchers and share our knowledge and experience with all who wish to learn the time honored skills of quilting and sewing. Our goal is to create a friendly gathering place where the local community can meet to inspire each other and share their craft. In order to help our sewing enthusiasts complete their projects, we offer first quality fabrics in a myriad of styles. We offer sewing notions and supplies to help perfectly execute the most challenging sewing techniques. And we offer top quality BERNINA Sewing Machines to put it all together. BERNINA is a fourth-generation family owned business that has been manufacturing sewing machines for 120 years. BERNINA is "made to create" and at Pinwheels we want to inspire you to "sew your passion" so we feel we have the perfect partnership to help sewing enthusiasts achieve their dreams. Drop by our store at 361 Northside Drive, or visit us here online, for superior product variety, personalized service, and ongoing support throughout your creative journey!